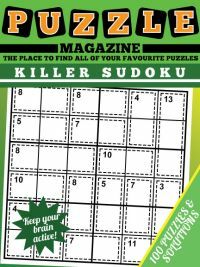 Welcome to the Sudoku Variety Magazine, or sudoku variants magazine. 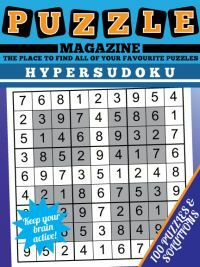 This magazine contains a range of different sudoku puzzles, and features ten puzzles of ten different sudoku variants. Some of those variants are more popular than others, so whilst you will be familiar with some, there might be others you are not so familiar with. Some of the variants listed below do not appear anywhere else on this site. 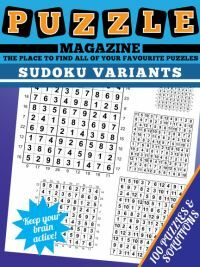 To view a sample of the first page of the magazine, please click to view Variety Sudoku Magazine page 1 (opens in new window). 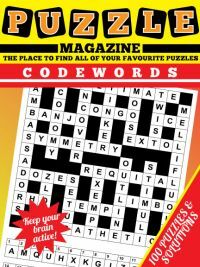 The magazine contains 25 pages of puzzles, with four puzzles on each page. 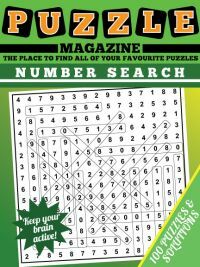 There are then solution pages that contain 8 puzzles per page. 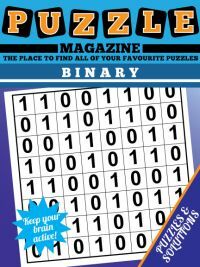 We hope that you will find the magazine enjoyable, and particularly enjoy those variant puzzles that you will not have come across before. 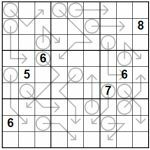 If you are coming to sudoku variants for the first time, then you might like to start with the more straightforward variants like sudoku X first before moving on to the others. In terms of difficulty, the hardest will be the arrow sudoku, calcudoku, isosudoku and sudoku minus. With the sudoku minus being noticeably harder than the sudoku plus and sudoku times, it is recommended to make a note of the various combinations or ways of making each number for the first puzzle that you solve, so that you can refer to these when solving the other nine puzzles.